Learn about the medieval and modern histories of Clan Strachan, its tartans, and more! 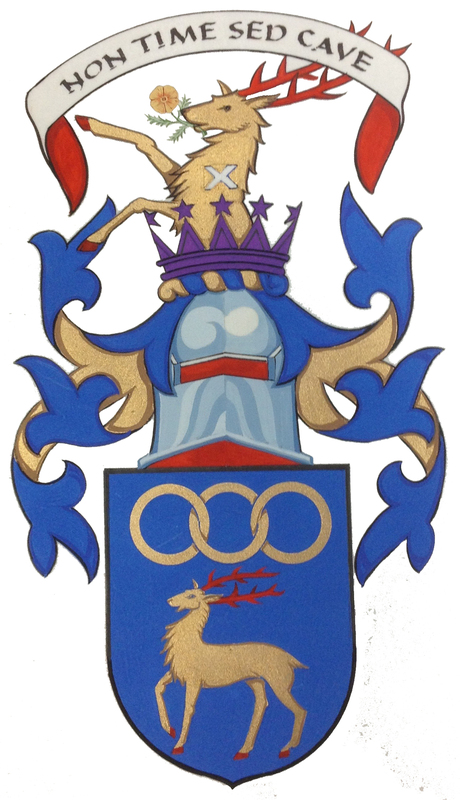 Scottish Armorial Bearings, and other information on Scots heraldry. Free instruction on genealogical techniques for researching your Scottish ancestry. Download newsletters, and other publications. Highland Games schedule, Burns Supper, and other events. Members... Login to the secure Member Subweb. Contributions from: Dr. Philip Smith, PhD Linguistics, and learned Gaelic speaker. Clicking on the map images will open a new window showing a higher resolution image. The "accurate" pronunciation of the surname of STRACHAN is highly controversial, both within and outwith the family. Many Scots (albeit not all) contend that /stra-khan/ is the proper pronunciation (using a gutteral for the 'ch'); while many of the Diaspora (albeit not all) pronounce the surname /strawn/ and insist this is the correct or original pronunciation. The simple answer is that both versions are correct and proper, and evidence suggests that neither is the original pronunciation. This is the correct pronunciation for the spelling of STRACHAN in Gaelic, which the Name is based upon. Today, it is more popularly used by families who generally emigrated from Scotland prior to about 1850. 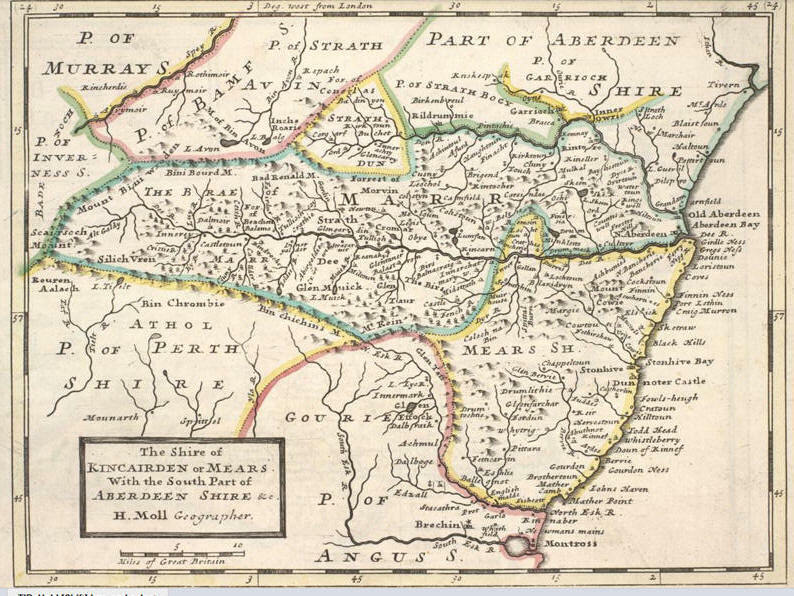 Migration records, late medieval records, and a 16th century map (Pont, see left) confirms that the village and most Strachan families (who at this time predominantly lived in the Mearns or Aberdeenshire) used this /strawn/ pronunciation. Today, the village today is pronounced /strawn/, and this pronunciation was used by Admiral Sir Richard John Strachan, Bart. (Representor of Thornton), Bishop Strachan of Toronto, Rob Strachan from the Mill of Strachan, and Sir Hew Strachan. Most Strachan families residing in Australia use this /strawn/ pronunciation. This pronunciation uses a gutteral for the 'ch', and is pronounced similar to the word 'loch' or 'Bach'. Today, this pronunciation is more popularly found in Scotland. Linguistic scholars confirm that in about 1850, a number of Scottish surnames experienced a linguistic hypercorrection to hide their Gaelic origins. For Strachans, this is thought to be a result of increased rents in the Mearns and the Industrial Revolution (about 1800-1850) forcing many families from the Lower Deeside to seek employment in the Lowlands or England for better paying industrial jobs. At this time, finding employment with a Gaelic sounding surname would have been extremely difficult, and many families (not just Strachan) altered the spelling or pronunciation of their Name. Prior to the 19th century, this pronunciation appears to have been more prolific in the Lowlands, and was used as early as the mid 1600's. These two different pronunciations of the surname of STRACHAN are a beautiful example of the old cultural divide between the Highlands and Lowlands of Scotland, and even today evoke a negative stigmatism depending on what country you call home. Everyone agrees the STRACHAN surname is derived from the Gaelic language. The Gaelic word "strath" means broad valley. 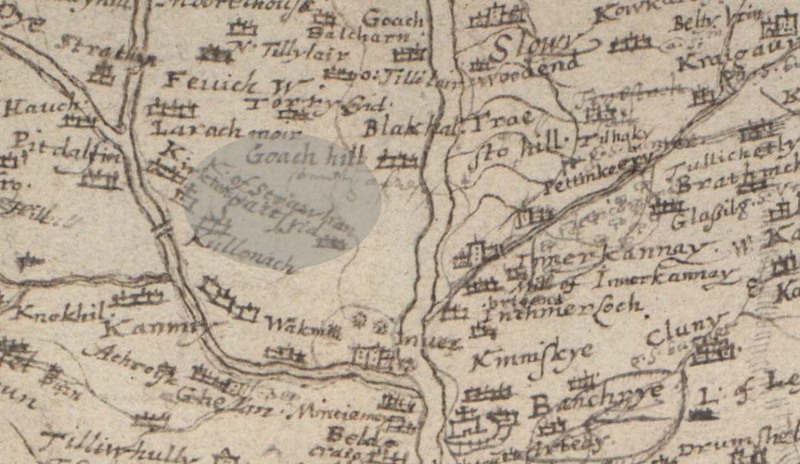 According to the above map by T. Pont in the late 1500's, the burn running through Strachan is the Water of the Feugh, and was spelt Feuich by Pont. This is very similar to the Gaelic word Fiadh/F�idh - which is a generic word for deer. Important to note, in Gaelic the 'F' disappears in the genitive. Finally, the Gaelic word for river is abhainn. There are a few pronunciations for this word depending on the dialect, but the most commonly used in the village of Stachan is /awn/ or 'on'. Stradhehhan (c. 1189x95); Stratheuchin (c. 1203x14); Stradhehin (c. 1222), Strahechyn (c. 1219x25); Strathechin (c. 1225x39; and Stratheihan (c. 1230).